Content marketing means creating relevant content which can only be accomplished once you know who your business is and what it stands for. Here are five ways content marketing truly is changing the face of business in 2013. Content marketing as a concept has been around for decades. In today’s high-paced world of social media and checks-and-balances, producing content has become a business in and of itself. The way content marketing has been envisioned, implemented, and assessed may have changed a lot in the past 20 years, but the basic principle hasn’t: marketing is all about telling customers why they need your business. 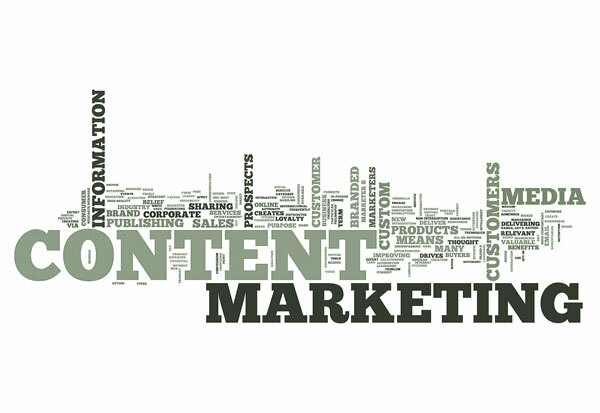 Here are five ways content marketing truly is changing the face of business in 2013. 5. It’s now necessary for businesses to define exactly who they are. Perhaps the best and worst thing about content marketing is that it forces companies to take a good, hard look at their ideals, standards, and brand identity. Gone are the days when businesses could plead ignorance or stay “above the fray.” Content marketing means creating relevant content which can only be accomplished once you know who your business is and what it stands for. 4. Businesses now have a more equal playing field. It’s a sad fact that mom and pop shops appear to be a dying breed in much of America, but content marketing is helping decrease the distance between Big Business and Main Street. Thanks to the internet, good content can (and will) be shared regardless of who created it, so having something valuable to say is no longer the sole privilege of Fortune 500 companies. In fact, small businesses may actually have more to gain by effective, regular content marketing. 3. Companies now have more control than ever over how their brand is portrayed to the public. One of the best things about content marketing is that it allows marketers and whole brands to choose a stance. Designating your company as an expert in a particular segment of your industry, for example, by putting out regular blog posts and articles can drive business from that segment. Content marketing isn’t just about disseminating information, either. It’s about responding to what your customers are asking from you whether it’s data, explanations, or testimonials. 2. Customers are able and encouraged to make highly-informed decisions. Before the internet, customers often found themselves blindly choosing between businesses – perhaps with the help of a consumer reporting magazine, at best. With so much content out there nowadays it’s not only possible it’s advisable to do loads of research before making any big money decision, for consumers and B2B transactions. Giving potential customers loads of info on who your company is and what it’s an expert on before they get to the purchasing phase can help set the stage for them to buy from you. 1. Businesses have more accountability than ever before. It is no longer possible to ignore customer complaints or hide behind an automated phone line. Content marketing goes hand-in-hand with social media in that it requires a sense of honesty and openness never before seen in business. Don’t just think of content marketing as a chore – it’s an opportunity! It’s a chance for your business to talk directly to your current and potential customers, whether that’s providing free info, negating a negative news piece on your industry, or just giving valuable advice. Content marketing means you have to face your customers head on, but that’s a good thing. Businesses competing openly means better experiences for the customers. Ryan is a Product Manager at BizShark.com, with 5 years experience in online marketing and product development. In addition to web related businesses, he also enjoys the latest news and information on emerging technologies and open source projects.